Christine Hellyar, Maureen Lander and Jo Torr have come together in this exhibition responding to items in the Turnbull Collections. National Library, Molesworth Street, Level one. A winter treat in Wellington, Tell Tails is one of those small exhibitions that you can fit into a lunch break, even allowing for time to get to the Railway Station end of the city. Just three artists, and a few works by each – but well worth the effort for textile fans, as the artists in question are Maureen Lander, Jo Torr and Christine Hellyar, using their particular expertise and vision to respond to items in the Turnbull collections. 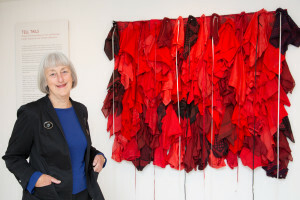 Christine Hellyar and Red Clouds. 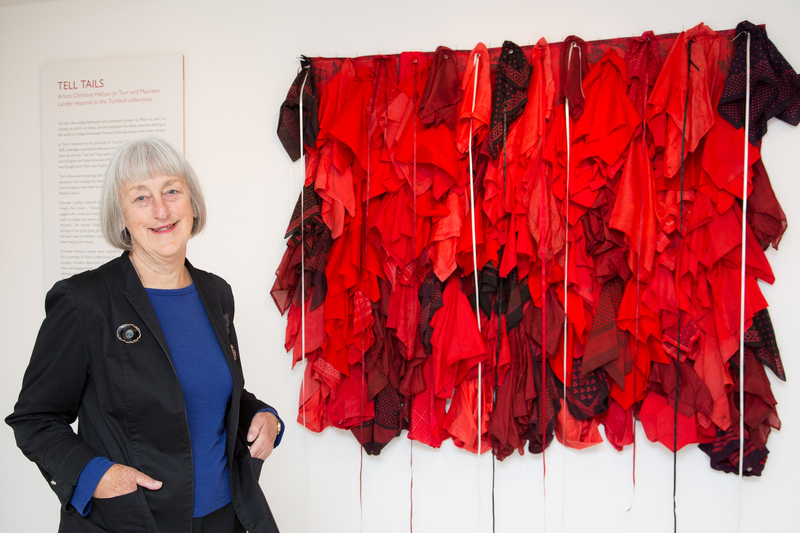 Christine Hellyar’s Red Cloud was inspired by the kerchieves used as items of exchange across the Pacific. 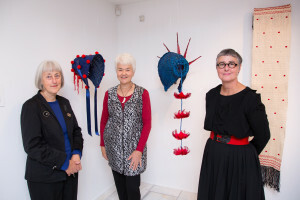 Maureen Lander’s Hariata’s war garb draws on reports of the sash and bonnet worn by Hongi’s daughter Hariata’s when leading her troops, while Jo Torr’s coat in Moemoeā reflects those worn in portraits of Tuai and Titere, two young men sponsored by Samuel Marsden to visit England. The close up pictures indicate the exquisite handwork these artists bring to their concepts. 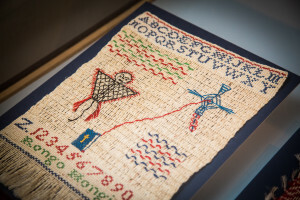 For more details, check out the coverage and images in the links below: the Turnbull Gallery information, Mark Amery’s appreciative review from The Big Idea, and the conversation between Kathryn Ryan and Courtney Johnston on Nine to Noon on 3 June. Each brings something different to this impressive exhibition. 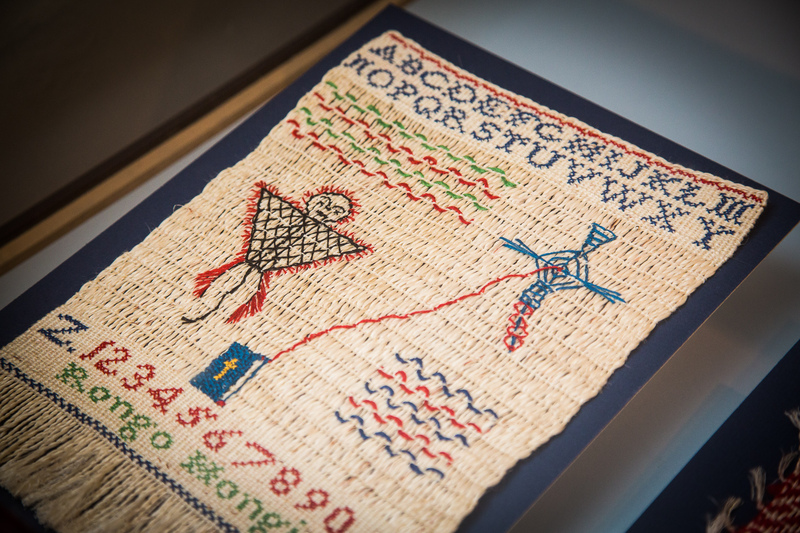 This entry was posted in Artists, Exhibitions, Wellington and tagged Christine Hellyar, embroidery, flax, history, Jo Torr, Maureen Lander, National Library, Turnbull Gallery, Weaving. Bookmark the permalink.